I recently came across an article that both surprised and angered me. The headline read as follows: Diane-35: Family whose daughter died after taking drug sues Shoppers Drug Mart. The family claims that although Diane-35 is in question by Health Canada, Shoppers gave the medication to their 18-year-old daughter without providing accurate information about when to stop the drug and are therefore at fault. The article does not mention the role of the family physician, the one responsible for initial consultation, as well as repeat prescription fills. Diane-35 works to regulate the hormones that affect the skin, thus helping women who suffer from hormonal acne. The reality of cases like this is that they aren’t rare. There have been over ten reported cases in Canada alone of death caused by Diane-35. The fact that a young woman died from taking mediation prescribed to her by a trusted health care professional is tragic. What’s even more startling is that doctor’s continue to prescribe medication, even though there are reported cases with potentially fatal side effects. Most every oral contraceptive currently on the market has had a legal case in which a woman’s health was compromised or death occurred. Side effects on such medications can include (and are not limited to), blood clots, nausea, migraines, breast tenderness, breakthrough bleeding, decreased libido, mood swings etc. With any death or adverse health complication related to prescription drugs, there are many players involved. In the case of Diane-35, the blame shouldn’t fall solely on a drugstore. Within Canada, there is Health Canada (the governing body who approves such drugs), the manufacturer of the drug, AKA Big Pharma, the doctor prescribing the medication, the pharmacist, the patient and/or the patient’s parent or guardian. While we may not want to admit it, most women go on hormone altering medications without really knowing the side effects and few have an understanding of how the drug affects their menstrual cycle. With this in mind the question needs to be asked: Are we (the “patient”) partly responsible when we experience a side effect from any medication we willingly consume? Yes, our doctor prescribed it, and yes, the pharmacist dispensed it, but at the end of the day, we take it. Although reading through the long list of side effects of a new medication can create fear and unease, it is there for the taking and rightly so. While chance of something awful occurring as a result of taking a “pill” is slim, it happens and when it does, we want to point the finger at everyone else, but ourselves. Having had my fair share of unpleasant side effects to medication, oral contraceptives included, I knew going into it, that there were risks. While not all women will go home and research the new prescription their doctor has prescribed for them, the option is there and because of this, we too need to be held accountable. If side effects occur, understanding their link to the medication we are on can better help us seek medical attention rather than brushing it off as something else. The death caused by Diane-35 is definitely a tragedy and one that should not be taken lightly. But, what really needs to be re-examined in this case is not whether Shoppers Drug Mart is to blame, but why the drug was being made available to dispense at all? The case against Diane-35 mimics that of like cases involving Yaz and Yasmine. The risk is ever present, but doctors continue to prescribe these medications because the risk-benefit ratio is not really that great of a… risk. And Big Pharma continues to manufacture such drugs, even after side effects are discovered. Who is accountable, and what measures are being put in place to ensure accountability? 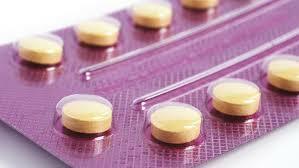 Education about hormonal medications needs to be more available to young women. How many high school health curriculums explore the side effects and concerns of birth control or hormone altering medications like Diane-35? While oral contraceptives play an important role in family planning initiatives, they need to be better presented to all audiences, whether that be students, parents, a patient etc. Yes, drugstores need to make literature available, but by that point it should be the second or third opportunity to receive such information. Initial consultation needs to happen with the doctor prescribing the medication. Parents too need to play a more active role in advocating for their children, no matter their age. This starts with understanding why they are taking a certain medication and the side effects which could occur. Sometimes the benefits do outweigh the risks, but it seems that this is only the case when the we avoid the risks ourselves.